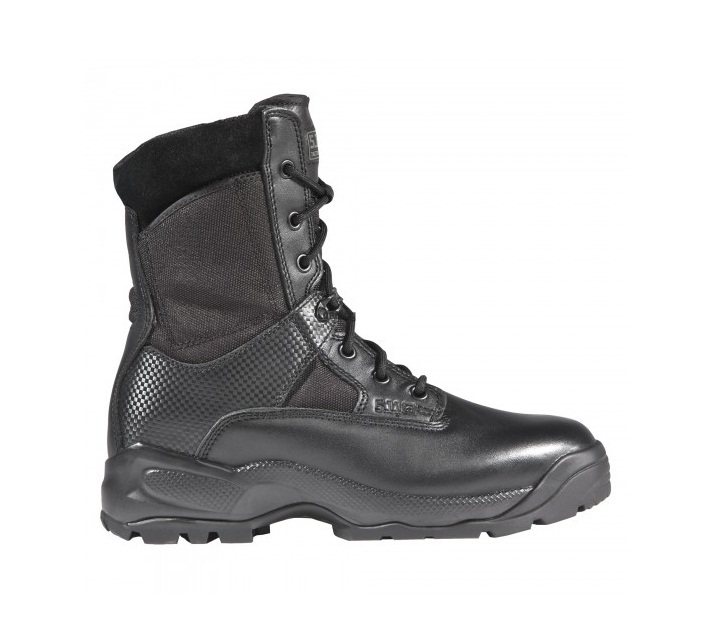 Click the button below to add the 5.11 Tactical ATAC 8" Side Zip Boot to your wish list. Tough boots for tough men. Engineered to deal with difficult tactical environments, the 5.11 Tactical ATAC 8” Side Zip Boot is purposely built to provide superior performance for law enforcement, military, and tactical operators around the world. The boot’s side zipper allows easy wearability - you can quickly move your feet in and out of the boot, saving time and eliminating the hassle of tying and untying laces. It has a full grain, polished leather toe, a covert side pocket, a nylon upper that is sturdy and breathable, antibacterial and moisture-wicking lining, and extensive dual density foam that provides maximum support for high-impact activities. No-squeak, oil and slip resistant outsole ensures stealth and stability during covert operations. Furthermore, it incorporates 5.11 Tactical’s innovative Shock Mitigation System®, which allows the boot to compress and rebound with each step, returning energy to you, thereby increasing your speed and traction on any surface.